The UF chapter of Children Beyond Our Borders (CBOB) was founded in 2003 and since then has grown and laid the framework for the nonprofit organization CBOB, established in 2007. 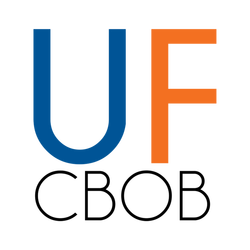 Throughout each school year, the members of the UF chapter of CBOB raise awareness on campus and throughout Gainesville regarding child poverty, social injustice and internal displacement. Members also fundraise for special projects and help organize CBOB’s annual service trips to Colombia. We encourage any student interested in areas relating to social justice including peace initiatives, youth empowerment, community service, youth education, Latin American studies, sustainability studies, family and social wellness, science and technology, public relations, nonprofit management, or any other field related to CBOB’s mission to come to a chapter meeting and find out how to get more involved! To stay updated on current activities of the UF chapter of Children Beyond Our Borders, you can visit our website. To contact the University of Florida chapter, feel free to send an email to any of the members of the Executive Board listed below. To keep updated with CBOB and our events, fill out the contact form, also below. Experience a day in the slums, "un dia en los barrios", and be in solidarity with those who are living through poverty and hunger. We challenge you to go a day with only a cup of rice and a bottle of water to sustain yourself. Through this small act, we will feel what life is like for some of the children we work with and many others around the world. We hope you will accept the challenge!